Welcome to 2016! We would like to extend our sincere thanks to our community who have taken OKTOPUS in their stride on our first year together. It’s not easy to move away from whiteboard software (especially if it’s all you’ve known) but we hope that we’ve done our part to make it as easy as it possibly can be. Since our last release we’ve had an influx of feature requests and ideas for improving our software. And we say keep ’em coming! There are so many great ideas, and we want to get them all in. So far we’ve had feature requests for an “open recent” function, a split-screen function (to deal with the Windows split-screen feature), shape, image, and text-box locking. 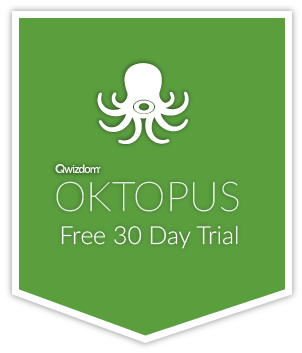 For usability we’ve had really great info from school admins about how their network locations work for AppData purposes, so we’ve changed how OKTOPUS works to deal with that. Another great feedback request is to tap anywhere once to go back to cursor mode when drawing a shape. Also worth mentioning is a request for the Word Vault to load on a per-slide basis, rather than on a per-lesson basis. Thanks also to the users reporting bugs to us, we will do our best to address these and get them fixed for the next release.